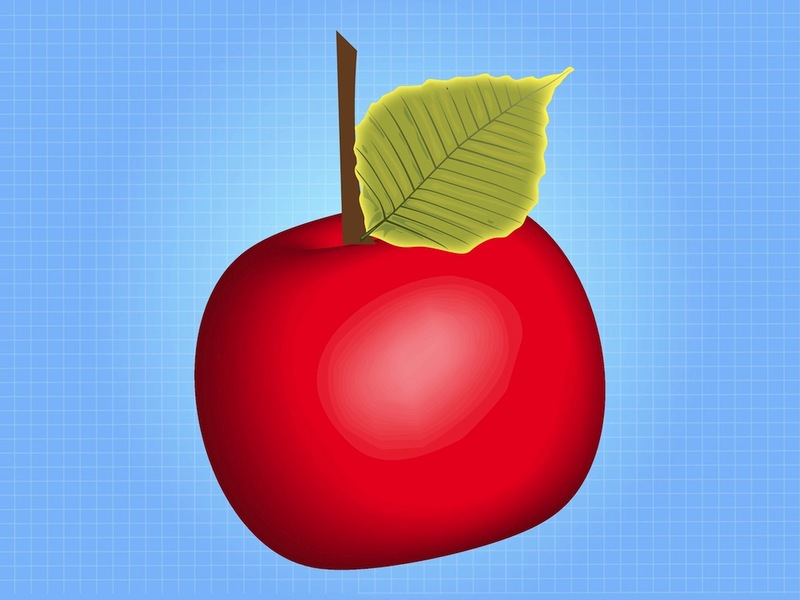 Food vector graphics of a red apple. Healthy fruit with a shiny surface with reflections and shadows, big fresh leaf attached to the fruit. Free vector illustration for all diet, healthy food, balanced eating and keeping fit projects. Realistic ripe apple to decorate your posters, cookbook covers and recipe designs. Tags: Fresh, Fruit, Healthy, Icon, Leaf, Red Apple, Shiny, Sticker.